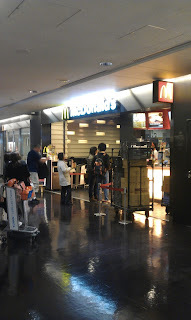 When I was writing my Texas Burger review/preview last week I over looked some of the other McDonald's Japan photos and realised that I took these photos back in late 2011 (shortly after starting the blog), and never ended up posting these. Back in May 2012 when I visited Nagoya to go see a concert, my friend and I were able to try the Juicy Shaka Shaka Chicken which was the new replacement (read: smaller) for the original Shaka Shaka Chicken. 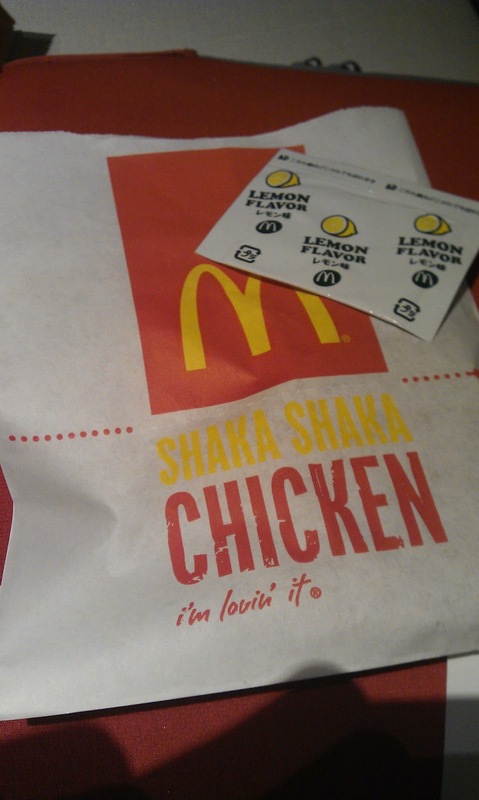 This was actually the second time I had a Shaka Shaka Chicken, with the first being back in 2009, when I tried the Black Pepper flavour (and they were 100JPY each). In late 2011 they had increased to 120JPY, and I asked one of each of the three available seasoning flavours, Black Pepper, Lemon and Cheese, but the women who took my order said I could only have one, so I went with Lemon. 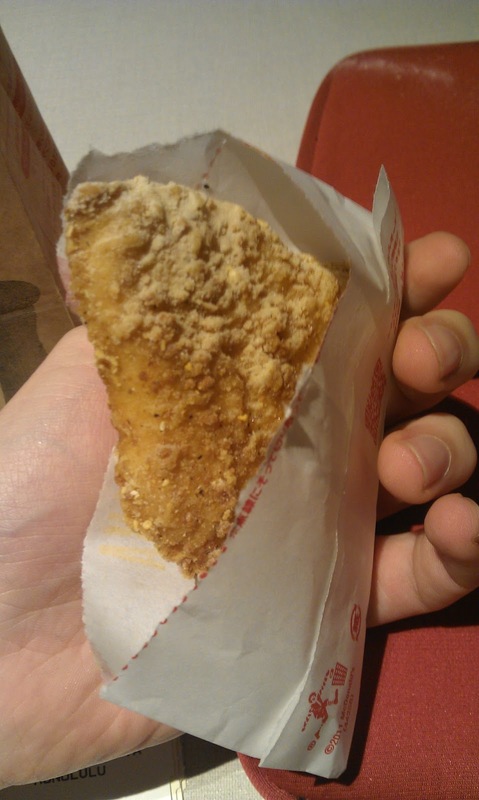 Over the years, they've changed up the seasoning, as well as had a couple promo flavours, none of which I've been able to try, but some that I've found online were Pizza, BBQ, Hot Chili and Lemon-Pepper. If you happen to know of any others that have been released over the years, please leave a comment at the bottom of the page. I guess I didn't shake it well enough. 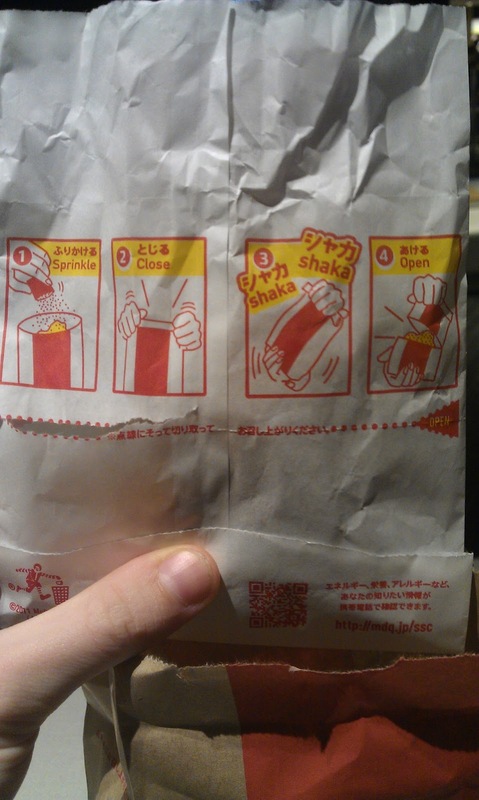 The back of the specialised Shaka Shaka Chicken pouch, teaching you how to 'Shaka it up'. 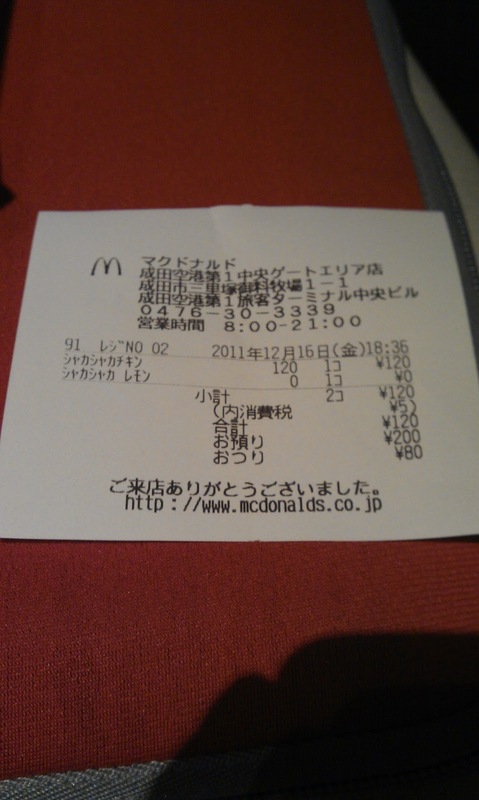 The chicken wasn't nearly as juicy or plump as the one that I had in 2012, but it was easily double the size. Put a bun around it, and it would be perfect inside a sandwich, at only 215kcal it made for a perfect snack. The price was perfect for Japan, and even more perfect for inside of an airport terminal (McDonald's charges city prices inside airports, though they sometimes don't have a full ice cream selection). 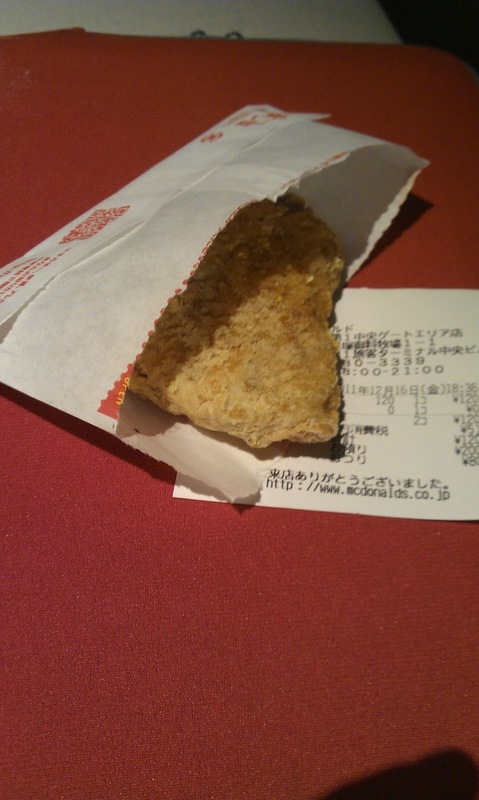 The meat was nice, and the breading was not too thick, nor too thin, just right. I'm a little disappointed that this original has been discontinued as the new 'Juicy' is good, but not as good as the original.